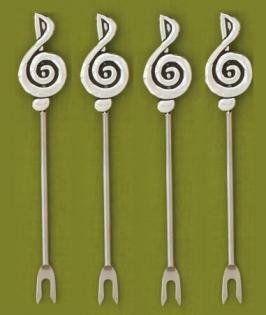 Beautiful quality lead free polished pewter Hors D'oeuvre Picks set of four with treble clef. Size approx. 4 1/2" x 1/2" at widest point.